sarawestermark: Early start on the Black Friday and Cyber Monday! I decided to offer free shipping from now through Cyber Monday at my etsystore! I've already had three sales from this promotion! So please if you have some gifts to get for the holidays, please stop by and get free shipping until Monday at Midnight! 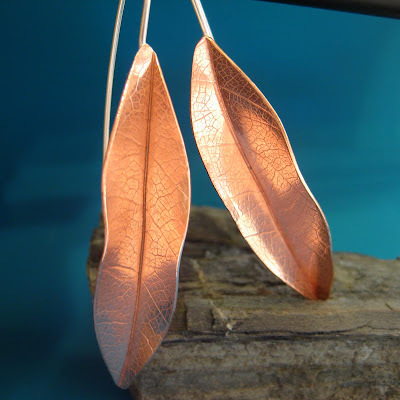 Two of my new pieces have already sold--the new leave earrings and the new leaf pendant. Of course my other sale was a pair of hoops! I just listed my largest hoops and my smallest hoops!